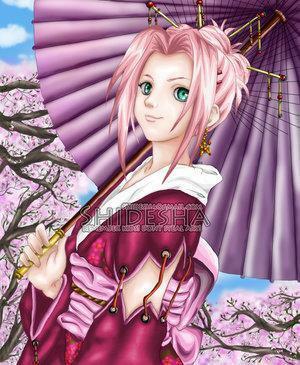 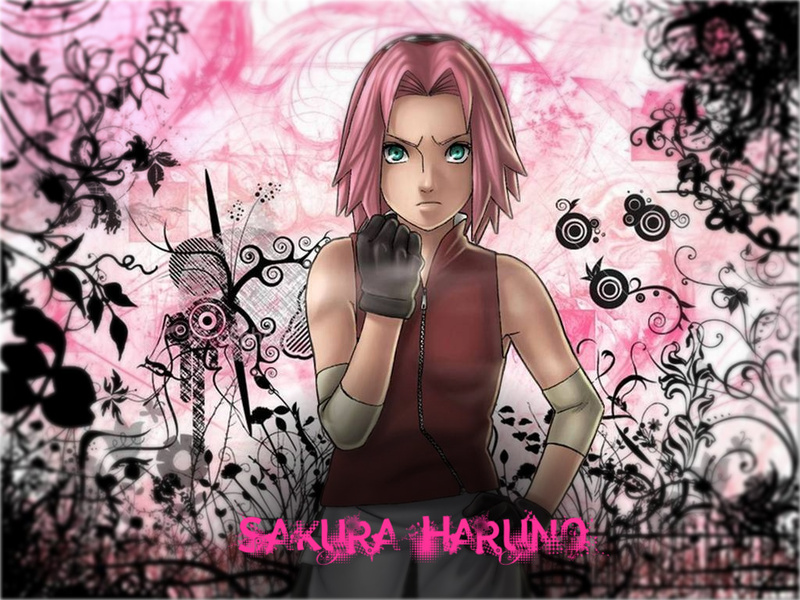 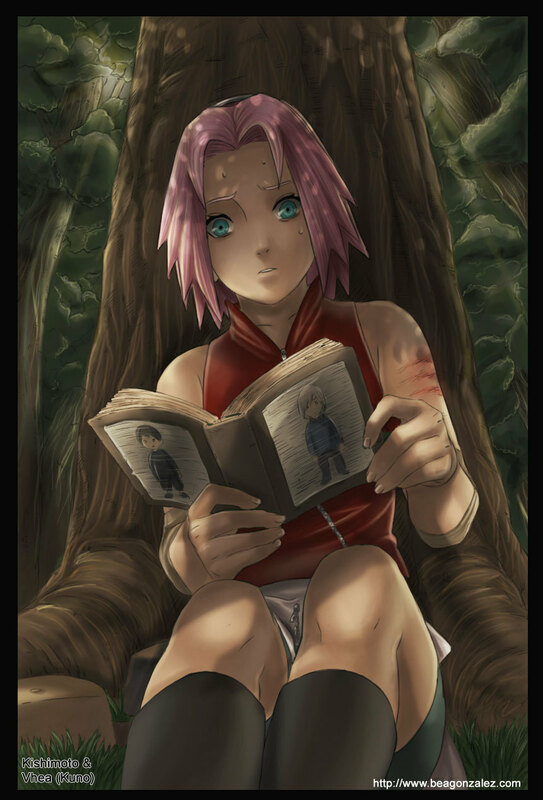 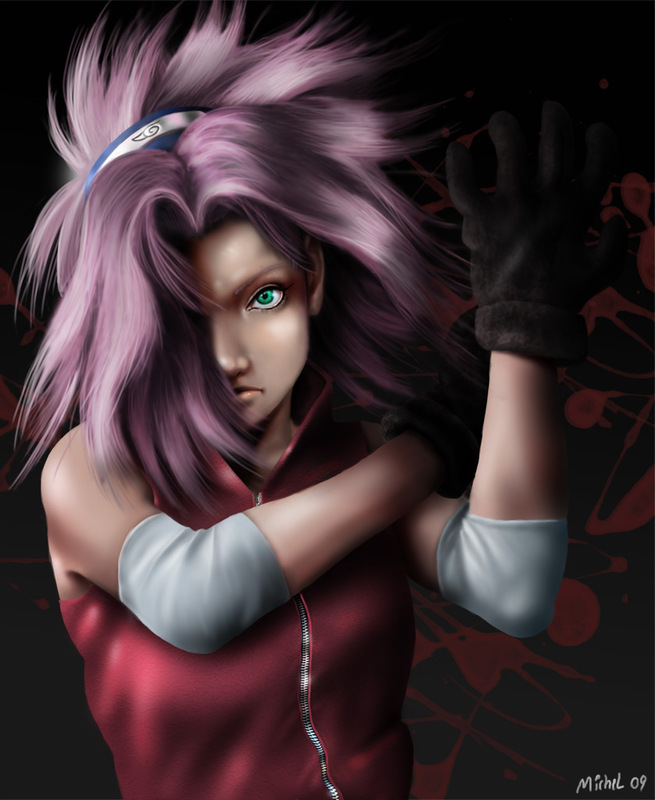 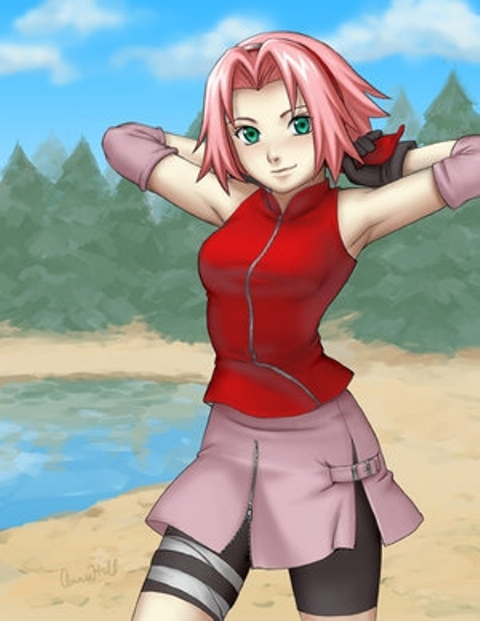 Sakura Haruno is a fictional character in the Naruto manga and anime series created by Masashi Kishimoto. 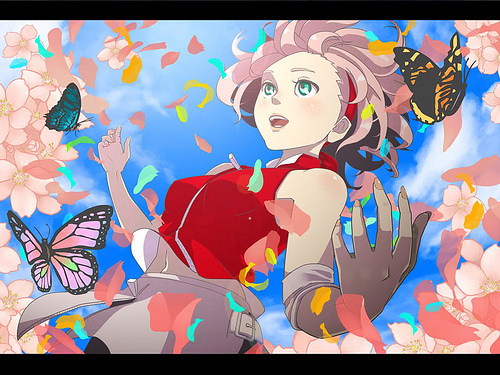 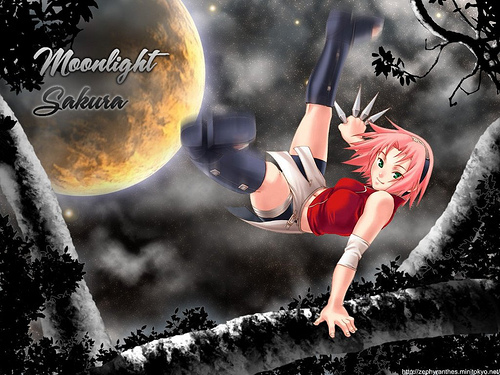 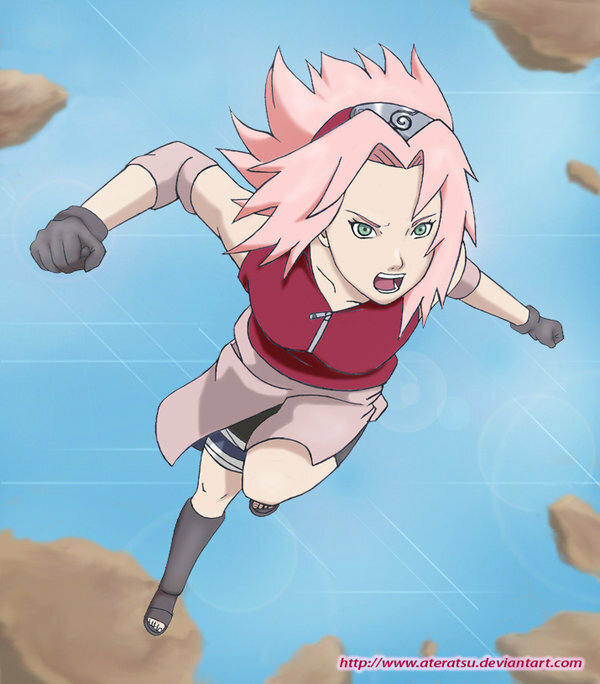 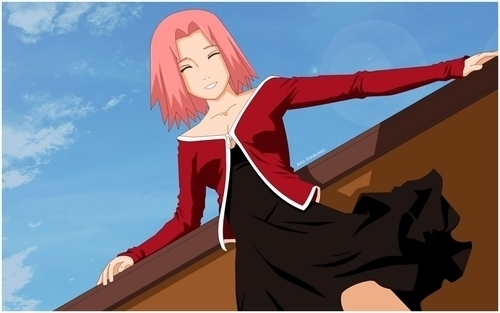 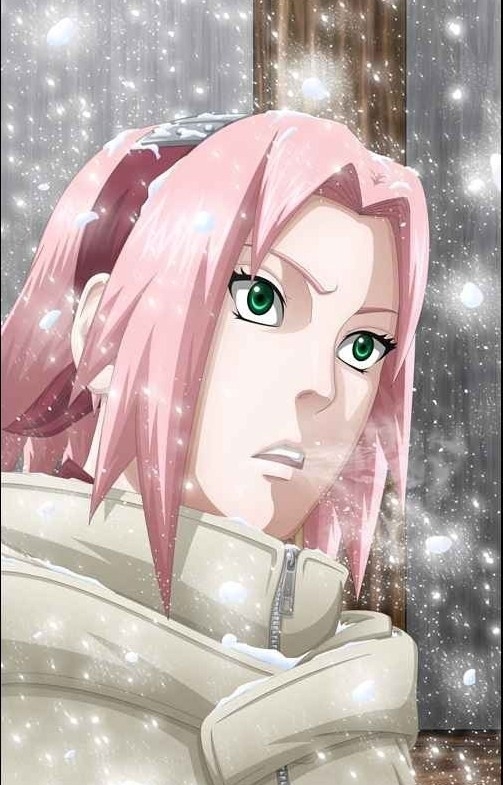 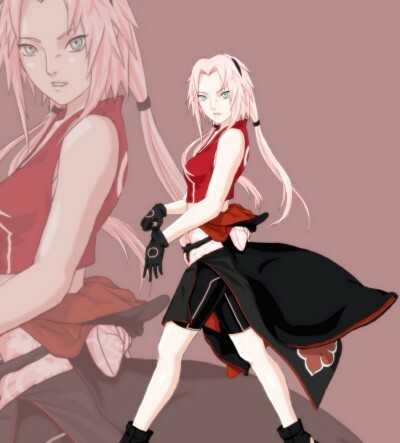 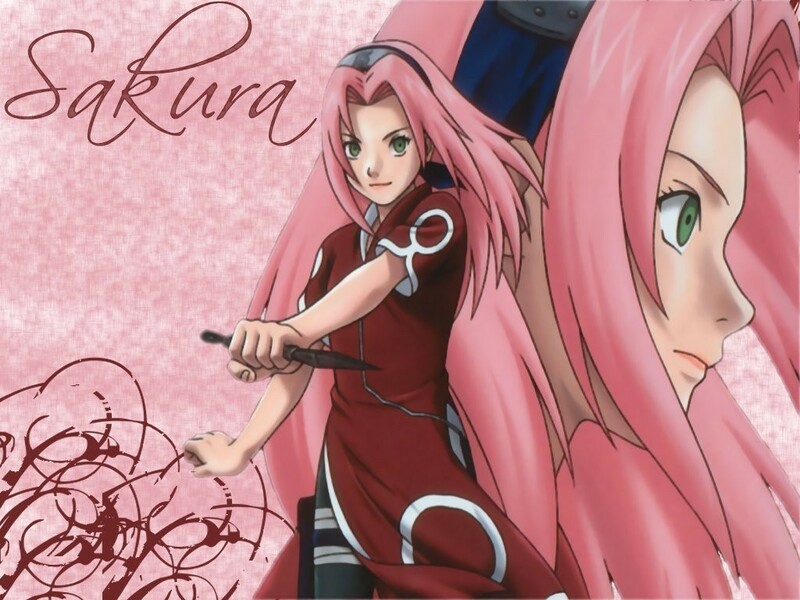 Sakura has become the series' female lead,In the anime and manga, Sakura is a kunoichi affiliated with the village of Konohagakure, and part of Team 7, which consists of herself, Naruto Uzumaki, Sasuke Uchiha, and their sensei, Kakashi Hatake. 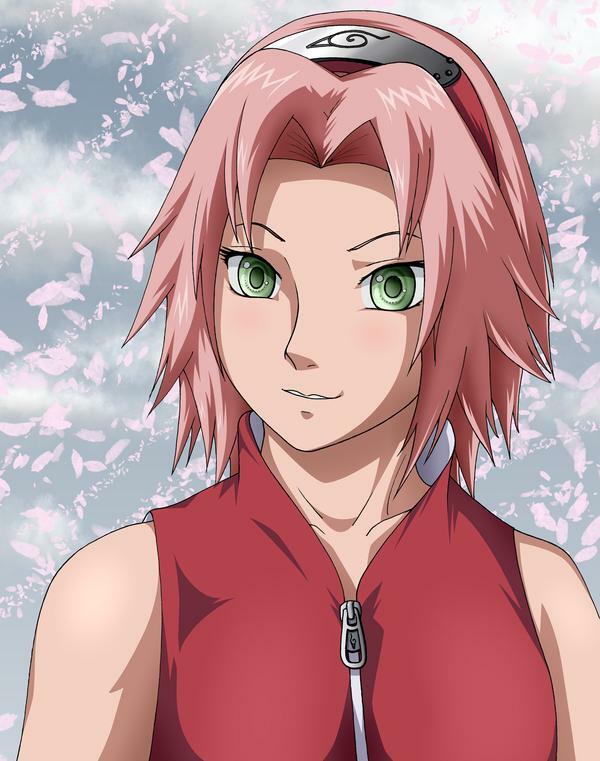 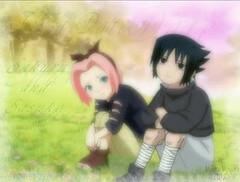 Sakura initially has an infatuation for Sasuke, praising him at every juncture, and heaping scorn upon the less skilled Naruto. 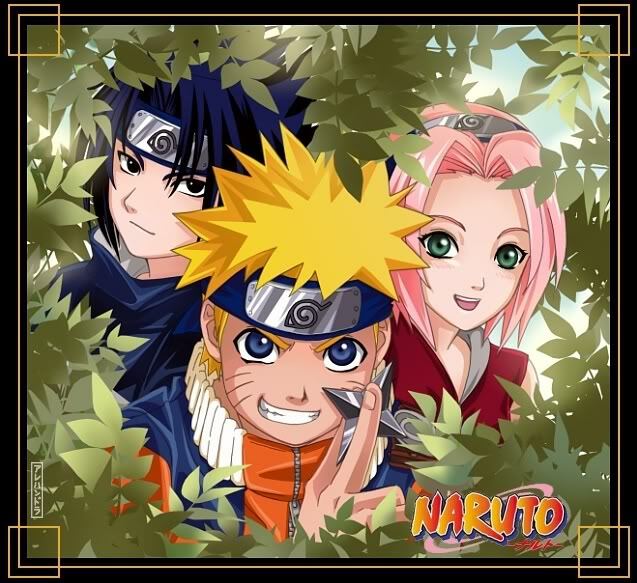 Over the course of the series, she begins to shed this singularly driven persona, and grows more appreciative and accepting of Naruto; in Part II, she begins to develop a closer bond with him as they both share in their goal to bring their departed teammate Sasuke back.